WordPress plugins are necessary to enhance a WordPress website but picking the right ones can be tough, especially when the official plugin directory is filled with thousands and thousands of plugins. If you are wondering which WordPress plugins are must have for a website or blog then we have hand-picked the best of the best WordPress plugins below. These plugins are essential for almost all kinds of websites and blogs that are built with WordPress. All of the plugins listed below are being personally used by our team in 2017 on many of our websites and blogs. We recommend you to have them on your site if you find the need. We have also prepared a handy infographic showing top 10 WordPress setup checklist items for setting up a website. You will find mention of some of the plugins listed below in that infographic as well. Note that, our list includes both free as well as premium plugins. Some of the plugins offer free version with paid upgrades. We have mentioned whether a plugin is free or not with each of them. When it comes to listing essential plugins, naturally a security related WordPress plugin comes to the mind first. We have picked Wordfence Security due to its popularity as well as reliability. We use it on all our WordPress sites including this one and are happy with the protection it provides including brute-force login protection and real-time Web Application Firewall which stops hacking attempts. While some complain about the plugin slowing down the site, we see no such issue when we choose a good hosting provider for the WordPress site. While this plugin has an option of a paid plan, we find the free version to be suitable for small sites as well as blogs. If you are facing constant bot attacks then you may want to explore the paid option. Apart from security, backup is another essential feature one must ensure on a WordPress website. You wouldn’t want to end up in a situation where your site is not working due to a misbehaving plugin or database errors. Having a backup will ensure you have a restoration point for your site which you can recover whenever the need arises. We trust UpdraftPlus for backups as it enables us to save backups to remote storage locations such as Dropbox, Google Drive or Overdrive. UpdraftPlus provides all basic backup features for free which includes scheduled backup to remote storage such as Dropbox and website restore from backup. You also have the option to upgrade to UpdraftPlus Premium which provides additional features such as easy website migrations, multi-site compatibility, backup of non-WP files as well as premium support. While UpdraftPlus can help you take regular backups to a remote location, using BackUpWordPress, you can store regular backups of your site on your web-server itself. 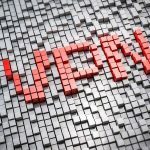 This can come in handy when you are not able to access your WordPress dashboard but can access your web-server via FTP and recover the backup. These back-ups can be used to restore as well as migrate your site to a new location if needed. Just follow their tutorial and you will be able to restore your site. Site speed is another important aspect which affects not only the user-retention but also your search engine rankings. Since WordPress generates each page dynamically, a heavy traffic can slow down your site. You can mitigate this by moving to a better hosting provider as well as by using a cache plugin such as WP Super Cache. WP Super Cache is built by Automattic, which is the same team who build and maintain WordPress. This plugin generates statically cached pages for your site which are served faster to your user without the need to query the database. You can manually clear cache and do advanced customizations such as not caching the page for logged in users. You can also use this plugin to integrate with a CDN which can speed up your site further. Building a user base and keeping them engaged is also an important aspect in making your website a success. This is achieved by building up a mailing list and sending newsletters with engaging information. You can choose to use external services such as MailChimp for this, however they may turn out to be costlier in longer run. For our newsletter needs, we trust the Mailster WordPress plugin, which allows us to manage our subscribers as well as send newsletters (manual and automated) right from our WordPress dashboard. Mailster costs us just one time compared to other services and plugins which charge on month to month basis. It is easy to setup newsletter campaigns with this plugin and the default e-mail templates provided are responsive (suitable for all devices). The plugin can be easily configured with SMTP, or with external e-mail service providers such as Amazon SES, SendGrid or even Gmail. Search Engine Optimization plays an important role in making your website discoverable in search engines and bringing traffic from Google, Bing and other search platforms. A plugin like Yoast SEO is must have for any serious blog or website. This plugin not only optimizes meta tags and search engine settings of your site but also assists you in writing an optimized post or page. It is hard to find a better replacement for this plugin as their developers are always on top of the latest Google changes and keep their plugin up-to-date in the WordPress plugin repository. You can also find premium plans for this plugin which can offer advanced SEO features such as support for multiple keywords, redirect manager, internal linking suggestions and premium support. We are happy users of Yoast SEO free version as it offers all the necessary features that we need and we have this plugin installed on all of our WordPress sites. While Yoast SEO plugin can also generate sitemaps, you can opt to install Google XML Sitemaps plugin instead. Apart from creating an XML version of your website’s sitemap, this plugin can also produce an HTML version of sitemap which you can link from your site if needed. Moreover, instead of manually pinging sitemap to search engines such as Google and Bing, this plugin will automatically do it for you. With the rising impact of social network in our lives, in has become essential to have social sharing buttons on your blog. 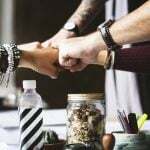 There are many plugins which offer integration of share buttons, however not all of them allow you to show share count or don’t support all the sharing platforms. Easy Social Share Buttons is a premium plugin which allows you to embed share buttons from as much as 45 different social networks including messaging platforms such as WhatsApp, Viber etc. They also support display of share counts including the tweet count which is generally not available in other plugins. You get the option to choose from 50+ button templates, 27+ positions to place the buttons and 30+ animation effects for catching the eyes of your readers. Comment spam is a big headache for site-maintenance and if you are not actively moderating the comments your site is receiving, chances are you will start getting low quality spammy comments with unrelated links. Google calls this as user generated spam and may penalize your page if they contain a lot of low quality comments. In order to stay on top of comments, you would want to install a plugin such as Akismet. It can help you in auto flagging a spam comment. An Akismet.com API key is required for using this plugin. While these keys are given for free for personal blogs, you would need to take paid subscriptions if you are a business or run a commercial site. A good alternative to Akismet that we recommend is Anti-spam WordPress plugin. This plugin is super easy to setup as it doesn’t require any configuration. It auto blocks comments that are spam and thus saves you the headache of manually moderating them. Most of the spam comments are submitted using automated tools and not browser. Anti-spam plugin is able to detect when an automated tool is submitting a comment and thus it can block all those comments. Comments that are manually submitted using a browser are allowed, however this means that you may still see spam comments if a user is submitting it manually. Jetpack is an all-in-one kind of plugin which offers multiple enhancements to your site. With Jetpack, you can add share buttons and related posts to your site. The free version of Jetpack can also help you with site analytics (we recommend Google Analytics for in-depth stats), brute force attack protection, downtime and uptime monitoring, secured logins and two-factor authentication, CDN for images, carousels, slideshows, and tiled galleries, extra sidebar widgets including blog stats, calendar, author widgets and a lot more. Most of the features offered by Jetpack are generally also available as alternate plugins, however if you like to deal with less amount of plugins then Jetpack can surely help you in that. There is a paid plan also available which allows you to have enhanced set of features such as Search Engine Optimization, Malware scanning, Site backups etc. In order to track your page views, search engine metrics, referrals, conversions, etc. Google Analytics is a reliable service used by many professional websites. In order to integrate and track your website usage, you can use the GADWP plugin which not only helps you in easily integrating the tracking code, but can also show you overall as well as page level stats in WordPress dashboard. There are many other plugins in the official directory, however we found most of them to be limited in one way or the other and offering paid upgrade to have full experience. While GADWP is still lacking a few features, it offers everything for free which is a plus. While users hate poorly implemented and over-aggressive popups, a well implemented and nicely timed (at exit-intent) pop-ups can prove to be great for capturing leads and collecting e-mails from your subscribers. 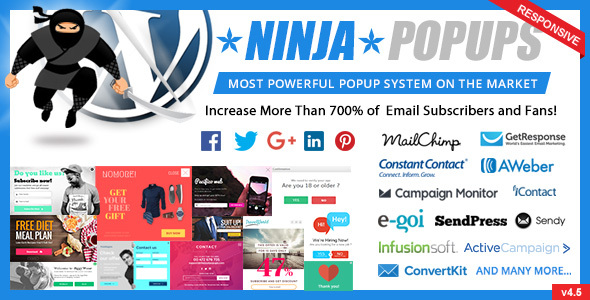 Ninja Popups is a powerful plugin with drag and drop pop-up builder and has over 65+ pop-up themes to choose from. It can also be used as an opt-in locker to lock your content and downloads. These popups can be easily integrated into any page in your WordPress site and supports page level targeting. Further more these pop-ups are not blocked by pop-up blockers. The plugin also integrates well with e-mail marketing services such as MailChimp, Aweber, ActiveCampaign etc. At a single time price, you get life-time support and updates. Bloated and large size images are going to slow down your site and if you don’t actively take care of their compression, your website will become slow over time and will consume more space on your web servers. One way to deal with this is to manually optimize images before uploading them to WordPress. However this can be tedious, especially when you upload images regularly. EWWW Image Optimizer saves you from this burden by automatically optimizing the uploaded image to smallest possible size. The free version of the plugin does a good job in compressing images including JPG, PNG and GIF. You can also bulk-optimize previously uploaded images. Another optimization that your WordPress website needs is for your database. Over the time, plugins and post revisions can add unnecessary bloat to the WordPress database and this can lead to larger database and slower queries. WP-Optimize can automatically clean your WordPress database to remove unnecessary data such as trash, stale data, transient options etc. It can also compact/de-fragment MySQL tables to help it run efficiently. You can configure it to run at regular intervals such as weekly. If you ever felt the need to redirect a URL to another, then this plugin Redirection can help you set it up from WordPress dashboard. Over a period of time, stale posts and pages pile up that get moved to new location. In order to redirect your users to new location, you need to setup 301 redirects. This can be done easily using this plugin. Additionally, if you are adding affiliate links, then you can use this plugin to create /out URLs redirected to your affiliate links. This can also help you track the number of clicks being done on the affiliate links. The plugin will also notify you of 404 pages that your website visitors are hitting and you can take appropriate action of setting up redirects to resolve the 404 errors. Overall, this is one must have WordPress plugin for sites to manage all kinds of redirections. Shortocode in WordPress are helpful in inserting content inside posts and pages. With the help of Shortcodes Ultimate plugin, you can insert elements like tabs, buttons, boxes, sliders, responsive videos and many other content in your posts and pages. These inserted elements work with any theme and are responsive. Contact forms are a must on any website that wants to provide a way for their users to reach out to them. Contact Form 7 is a free plugin that can help you insert contact forms in any page or post. You can customize the form and setup the e-mail that will be used to send the contact forms. Contact Form 7 itself is a simple plugin which does just one thing, i.e. adding contact forms to your site. However there are many free as well as paid add-ons available such as Flamingo (to save submitted data), Contact Form 7 – PayPal Add-on etc. that can help you enhance the contact forms. 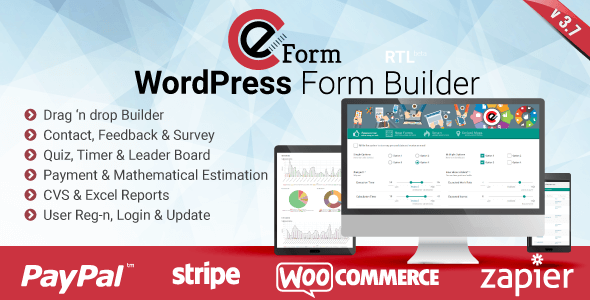 eForm is a great alternative to Contact Form 7 as it provides easy to use drag-and-drop form builder which can be used to create any kind of form such as contact form, feedback form or a survey. You can also use this plugin to create quizzes with timer as well as leaderboards. CVS and excel reports are available through the plugin and integration with PayPal, Stripe, WooCommerce and Zapier etc. are also provided. If you have social networks for your blog, re-sharing your old content from time-to-time can help in generation of additional traffic. Instead of manually doing this task, you can take help from Revive Old Post plugin. It can be set to automatically share your old posts and pages at a regular interval of time on Twitter, Facebook, LinkedIn etc. You can customize the sharing by adding additional hashtags or by changing the text shared with them. The plugin can also be configured to exclude specific tags or categories from sharing, and you can track the metrics in Google Analytics. While this plugin is not needed most of the time, however if you are changing your theme or are re-configuring the featured image size, it will become a must to regenerate the thumbnails of your images so that they are compatible with the new dimension required by your theme. Regenerate Thumbnails can regenerate thumbnails in bulk for the images on your WordPress site. You can also choose to generate thumbnails for individual images with this plugin. Page builders are a great way to add additional content and components to your WordPress pages without the need of writing/inserting code. 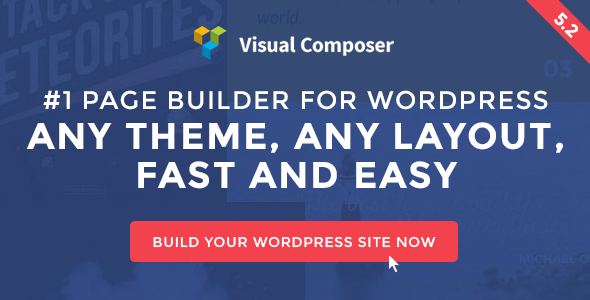 Visual Composer is one of the most popular page builder for WordPress which works on any theme and allows you to use a drag and drop interface to add elements to your pages. It doesn’t require any coding skill to use this plugin and you can easily add over 50 content blocks such as Tabs, Image Gallery, FAQ, Google Maps, Call to Action buttons, Social Buttons, Calendar and a lot more. There are more than 40 grid design templates that can be used to design your pages. All the design and content blocks are responsive and can work with your existing theme. If you are looking for a free page builder then this Page Builder by SiteOrigin is a good option. It can be used to create responsive grid-based page content on your site and is compatible with all themes. An additional Widgets Bundle is also available for free which allows you to add elements such as Google Maps, Call To Action buttons, Images, Carousel etc. AMP (Accelerated Mobile Pages) is a technology being used by Google to accelerate the delivery of web pages to mobile users. In order to make your WordPress website compatible with AMP specifications, you need to have the AMP plugin installed. This plugin has been created by official WordPress team in collaboration with developers from Google. Once enabled, your amp pages will be available by adding /amp at the end of the URLs. Note that only posts are supported through this plugin currently. AMP for WP is an additional plugin over the previous one that can help you customize the look and feel of your amp pages. Moreover, this plugin can help you add Google Analytics as well as AdSense code to your amp pages. It also supports adding multiple share buttons in the amp content. Overall, if you have amp enabled, this plugin is a must-have to customize the amp pages. You will find many articles listing essential WordPress plugins and may wonder which one is to be trusted as they may be listing different plugins. Our list includes only the plugins that we have personally used and recommend to other website owners. Moreover, we have kept the list smaller and have tried to cover every aspect of websites when listing these plugins. Even though we have listed a few paid plugins, they perform exactly as advertised and are better alternatives than a free one. As a general advice, you should not be installing a lot of plugins and should only have the ones that you are actually using on your WordPress site. Don’t forget to take a look at our WordPress setup checklist which can help you get started with the minimal list of plugins needed on your site. You can then add more plugins as your requirements grow.